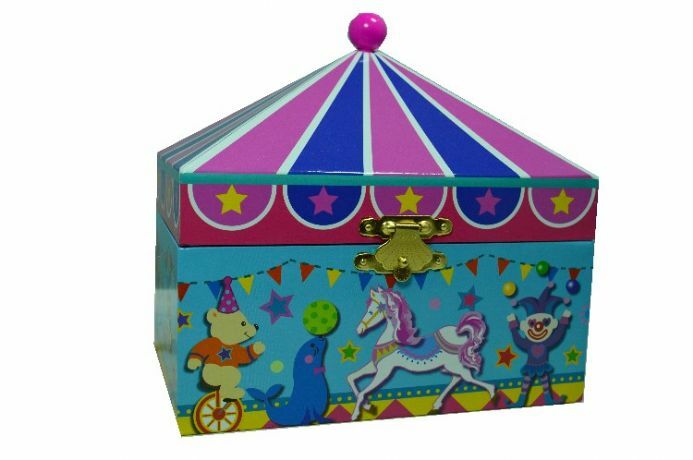 An unusual musical jewellery box with a circus theme. This unusual musical jeweller box is from our new range of 'Circus' boxes. The lid of the box is shaped to resemble the roof of the 'Big Top'. 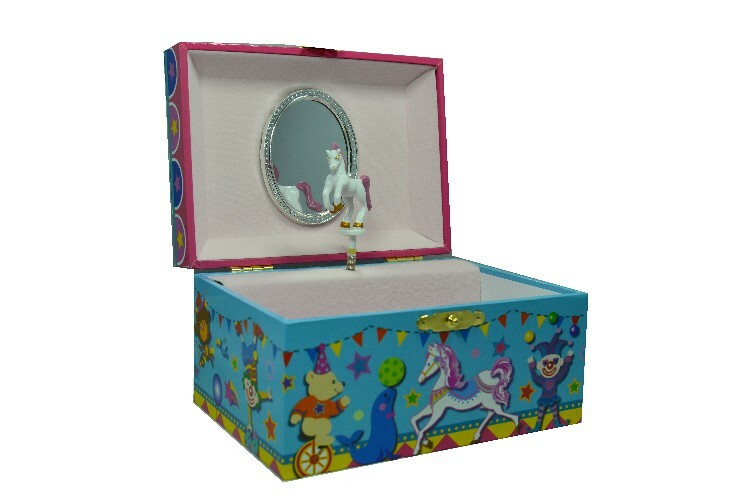 The music box is made from a wood board covered in a glossy printed paper showing a brightly coloured circus theme of clowns, horses, bears and monkeys. The interior of the music box is lined with a pink baize material. 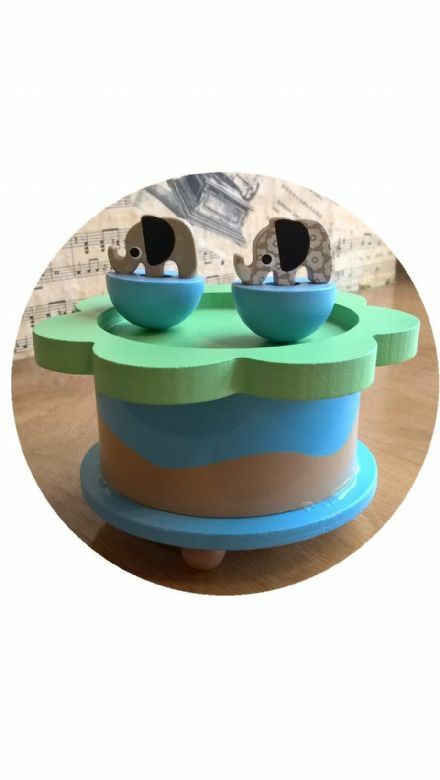 There is a miniature horse figurine inside that pops up and revolves to the music when the lid of the music box is lifted. 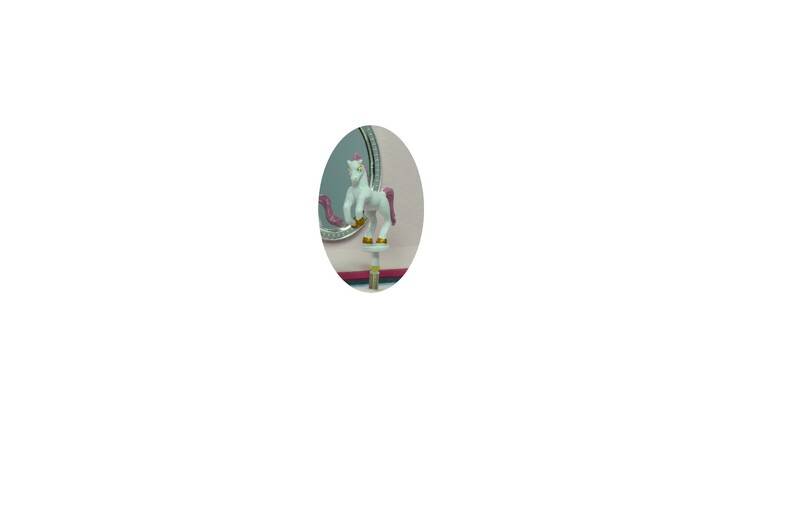 Behind the horse is an oval shaped mirror. There is plenty of space for jewellery storage. This musical jewellery box is fitted ith a clockwork musical movement that is wound by a key at the back of the box. The tune is "Looney Tunes".